Dates, be they those nerve-wracking first dates or an excuse to get away from the hustle and bustle of your busy schedule, can be taxing and problematic when it comes to the planning. 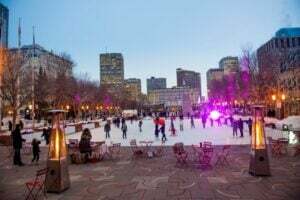 As this wide-ranging list proves, you don’t have to make the drive into Edmonton to be able to make your date one that is fun, fascinating and memorable. Here are 25 date ideas in Parkland County. Porta Romana: An authentic Italian restaurant located in Spruce Grove, it features classic Italian cuisine such as Fettuccine Alfredo and Ravioli Zucca and comfortable, yet romantic ambience. 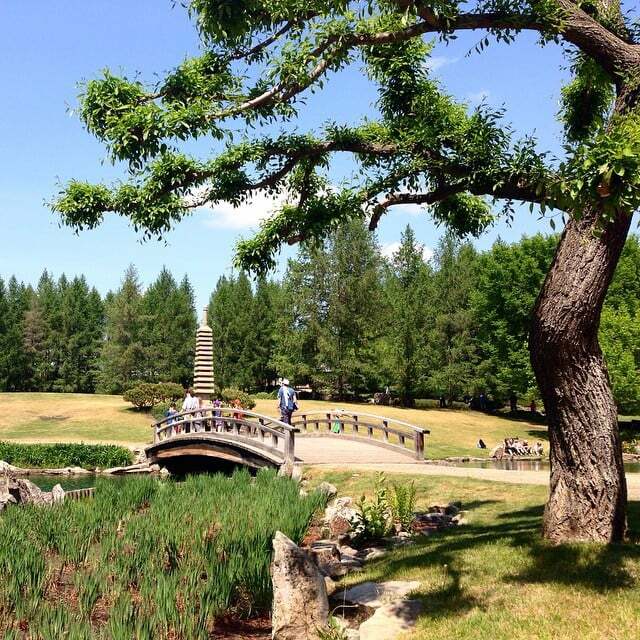 University of Alberta Botanic Gardens:Visit this 240-acres garden that is filled with a sizable trail system through numerous gardens with beautiful plant collections. This includes the Kurimoto Japanese Garden, as well as the Tropical Showhouse featuring several species of butterflies and the spectacular new Aga Khan Garden scheduled to open during the summer of 2018. The Garden also holds special date nights during summer on Thursday evenings! Carvel General Store: Visit this historic and picturesque hamlet and this famed general store for its unique and one of a kind offerings! Buy something for yourselves and your date! Spalogy Book a couples spa treatment for that special celebration at this spa in Spruce Grove that includes Chocolate Fondue, Cheese and Fruit Tray or Sweet n’ Salty Assortment with a relaxing massage and other treatments! Young Guns Paintball: What better way to spend your date night shooting paint at your significant other? Enough said. Wabamun Waterfront Park: Pack a picnic and head to the day-use park on the beach of Wabamun Lake. The park also has boat launch for enthusiastic boaters. With an 18-hole mini golf and ice cream shop in the nearby Seba Beach, it’s the perfect location for a relaxed summer afternoon date. Something Else Restaurant: This restaurant features a mix of Greek, Mediterranean, and Western Cuisine. The ambience creates a romantic atmosphere, and there are numerous dishes that are quite delightful. At the TRAX Public House: This local bar in Spruce Grove features a full kitchen/bar that serves breakfast, lunch and dinner. There is often live entertainment and there is even Karaoke on Wednesdays. Horizon Stage: Enjoy live theatre and concerts at Horizon Theatre! There is plenty of parking, concessions available and a full bar. This cosy and intimate atmosphere is ideal for a romantic night on the town. Perks Coffeehouse: If a coffee date is more of your speed, then this coffeehouse is a wonderful pick. They have a variety of coffee selections as well as soup, sandwiches and many sweet treats. Parkland Potters: And for those who want to really learn the art of pottery, this studio has classes where you can learn to make your own. Clifford E. Lee Nature Sanctuary: This site of protected marshlands, forests and meadows provides a scenic and peaceful excursion for a quiet date. Features a boardwalk, many trails and picnic area where there are numerous species of birds, animals and plants to discover. 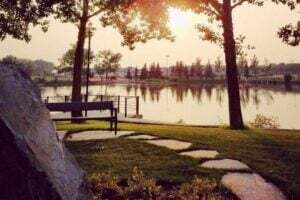 Whispering Waters Park: Located in Stony Plain by the Whispering Waters Creek, this is the perfect location for a low-key and relaxing picnic date. This park is accessible through the Stony Plain trail system. Spruce Grove/Stony Plain Trail systems. Both Spruce Grove and Stony Plain have vast trail systems that go through many different neighbourhoods and are superb for a peaceful walk through nature with that special someone. Or go roller blading or biking! Guided Mural Tours: Go on a guided tour or on your own to explore history and/or art. Tours are offered by the Multicultural Heritage Centre and can do by walking, by bus or in the summer months, with a horse and wagon ride. The Cheesecake Café: Whether you are planning a dinner date, drinks with appetizers or just dessert and coffee, this place can provide what you are looking for. Besides having a fabulous cheesecake that is baked in-house, this restaurant offers a full menu and several deals for both food and drinks. Multicultural Heritage Centre:Explore the museum that showcase the history of the local area as well as life for the Western Canadian pioneers and the Public Art Gallery which often features works done by local artists. Donot forget to get a yummy pie to share with your love from Stony Plain Pie Shoppe ( Homesteader’s Kitchen). Happy Acres U-Pick: While only available during the summer months, this can be a unique and unforgettable date, which will also provide you with a variety of fresh fruits, berries and vegetables. Edmonton Corn Maze: Put that GPS away and get lost at this 15-acre corn maze! Running from July to October, the corn maze has a concession stand, a picnic area and firepits on site. Admission is reasonably priced, making it an affordable choice. The Links Golf Course: This golf course features an 18-hole championship course. There is also a restaurant on-site, The Links Grill. If golf isn’t your sport, during the winter months they feature cross-country ski trails, which are available to the public. Skydive Eden North: For the couple who are more adventurous at heart, this would be an exhilarating experience. These skydives can be done either Solo or Tandem (instructor). You must complete the instruction before you make the dive, so make sure to plan ahead. Crock A Doodle: For those who love to create but are inexperienced with pottery, this could be a great date for you! All you have to do is pick out your pottery and paint it; they do the rest. Then you have a creative memento of your date! The Sharks Club Pool Hall and Sports Bar: If you appreciate billiards, this is your one-stop shop. Featuring several pool tables, a full kitchen/bar and even pool leagues and tournaments. Landmark Cinema: If you are leaning to more of a traditional dinner-and-a-movie date, then you are in luck with this reasonably-priced cinema located in Spruce Grove. As well, they offer a Wednesday special called Movie Twosome, which includes 2 admissions plus concessions at a great price. Ice Skating: Enjoy a twirl around the ice during those winter monthS – there are several outdoor rinks available all over Parkland County. 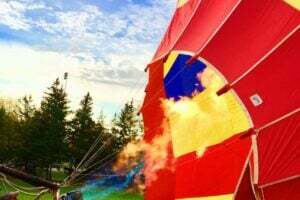 20 Cheap and Fun Things to Do in Edmonton whether you are Alone or on a Date!